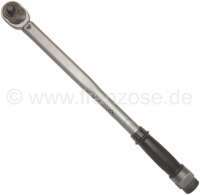 sample image Torque wrench largely, 40-210Nm. (Drive shafts tighten, drums etc.). 1/2 " mounting. 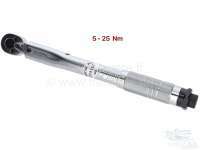 sample image Torque wrench small, 5-25Nm. 1/4 " mounting. Only for screws with right-hand thread suitably (torsion in in the clockwise direction). 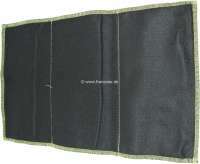 sample image Flame protection mat for weldings. Protection up to 1100°C, decreases fire risk in the car. Flexibly, good mouldability, long life, asbestos freely. Measurement: 330x500mm. Who welds, such should have a mat. 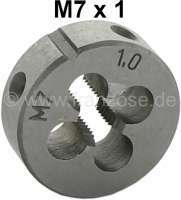 sample image Tap drill M10x1. 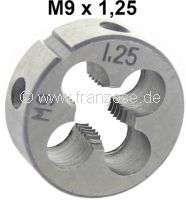 (M10x1 was very often used with brake hoses). Manual cut tap drill! 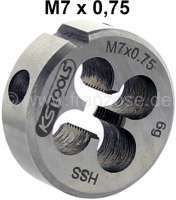 sample image Screw gauge metric + Whitworth. Angle of pressure 60° with 24 upward gradients 0,25-6mm. Angle of pressure 55° with upward gradients 4-62 gear on 1 ". sample image Hook set 135mm long. 4 fittings, optimally for O-rings, seals, Citroen brake hose seals etc. 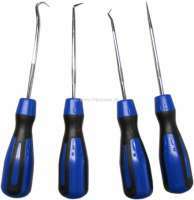 Contents: 1x straight line hook, 1x 90° hook, 1x hook point, 1x awl. sample image Ratchet adapter (enlargement). From 1/4 ratchet to 3/8 socket wrench. sample image Ratchet adapter (enlargement). From 3/8 ratchet to 1/2 socket wrench. 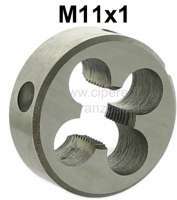 sample image M11x1 male thread cutter (die nut). Workshop quality. E.G. suitable for the spring pot hinged tie bars threads of Citroen 2CV. 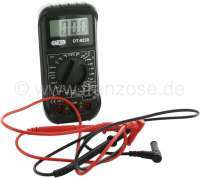 sample image Multimeter digital. Dimension: 74x145x40mm. Measuring range: Volt direct current + alternating current. Ampere, resistance, continuity tester. Everything what you need, for car electrical connection. sample image Test lamp for car, 6-24 V.